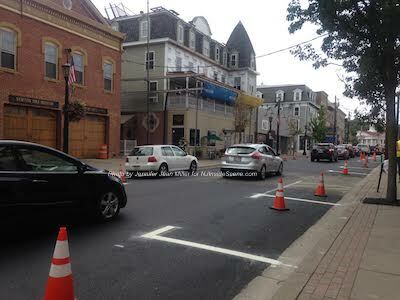 Crews just painted lines along both sides of Spring Street for parking spots. Photo by Jennifer Jean Miller. 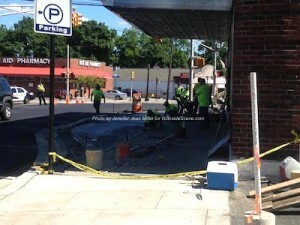 NEWTON, NJ – The improvements in Newton’s downtown continue, with the entire project slated for completion by September 7, barring any weather delays. Last week, crews worked on the bump outs along Spring Street, with two on either end of the street. The one is by Madison and Spring Streets adjacent to The Newton Theatre, with the second by Main and Spring Streets, next to the site where the former right hand turn lane had entered onto Spring Street from the square. 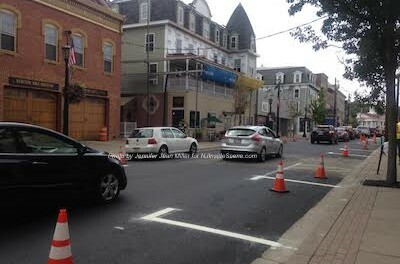 The paving and milling also took place on Spring Street, with parking spaces painted in on both sides. Formerly, parking was only on the right side of the street in the lane headed to the square and now with the one-way street in effect, an additional 22 parking spots have been painted on the left side and are now in use. Crosswalks are in process, crossing Spring Street heading to both Moran and Adams Streets, designed with brick pavers and concrete headers. Those driving through the downtown may experience some minor traffic as they pass by the sites where crews are working, as crews work on sections of the crosswalk. Crews smooth out the concrete on the bump outs on Spring Street. Photo by Jennifer Jean Miller. Next week on Monday, August 24 and Tuesday, August 25, crosswalks will be placed on Spring Street at the bump outs. For this project, Spring Street must be closed during the daytime while the work is in process, because of the complexities involved with the concrete work. Plates covering the crosswalks will be used during the evenings, permitting traffic to pass through Spring Street. On Trinity Street, crews continue to prepare the areas for the new traffic lights that are anticipated. Downtown Newton and adjacent areas are open for business. Parking remains free in the following lots through September 11, Monday through Friday, 8 a.m. to 6 p.m.: Adams (Lot #1), Central Plaza (Lot #4) and Eastern Plaza (Lot #5). 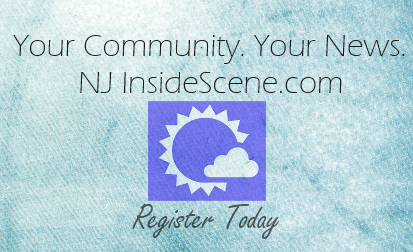 NJ Inside Scene will continue to provide updates on the improvements happening in Downtown Newton. Stay on the scene with us and click here to follow us on Facebook. Newton Theatre Special Event: Movies Return in a Big Way!